Written by Petr Hanuš on Monday 29 January 2018 in the category Release with the tags SL302, SR305, Security. Written by Jan Otte on Thursday 11 January 2018 in the category Default with the tags Security. Written by Jan Otte on Friday 5 January 2018 in the category Release with the tags Security. Written by Jan Otte on Monday 9 October 2017 in the category Release with the tags Security. Conel OS 6.1.4 was released! This release is the first one released in Engineering Portal. 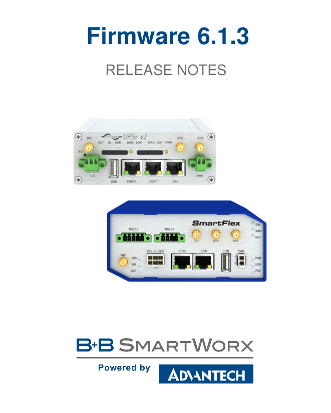 The Firmware including release notes and firmware distribution overview can be found directly in the product you are interested about under the tab "Firmware" at the bottom of the product page. Note that you need to be logged in to be able to see firmware files. This release is a small bugfix release, containing fixes primarily for IPsec and also a few security fixes together with a few improvements. See release notes for details. Written by Jan Otte on Friday 25 August 2017 in the category Development with the tags Source code. The Devzone page has been created. How to get to SDK and Toolchains. Where and to get to the Opensource parts of the OS (GPL and other licensing). Pointers on how the Opensource parts of our OS can be reproduced.